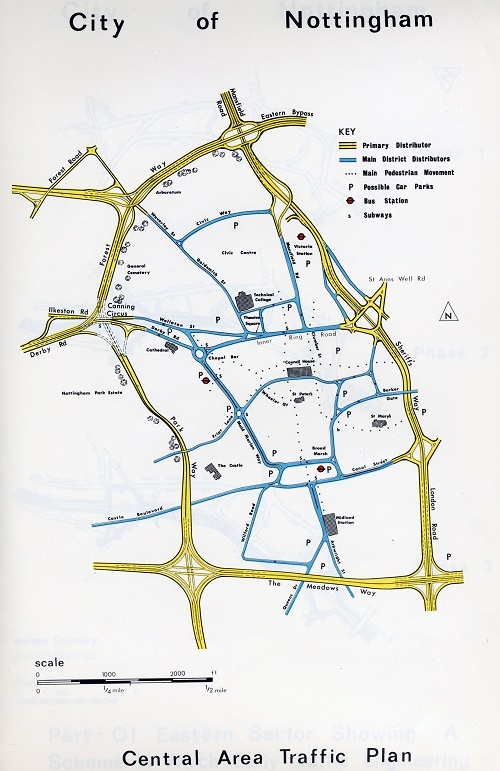 During the Second World War, city planners around Britain were asked to draw up possible plans for reconstructing the nation’s towns and cities. Nottingham’s 1943 Reconstruction Committee Report included a plan for a grand processional way that would have extended from Shakespeare Street northwards through The Arboretum. Later, the key to Nottingham’s 1965 Traffic Plan proposal was an inner motorway that would have sliced through many of Nottingham’s most historic areas, passing along the northern side of The Arboretum (as shown in the artist’s impressions in the 1965 plans). 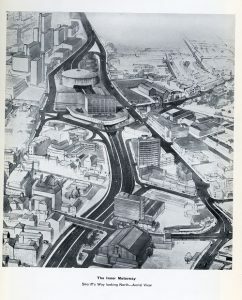 Campaigning by the newly formed Civic Society contributed to the plan’s eventual withdrawal. 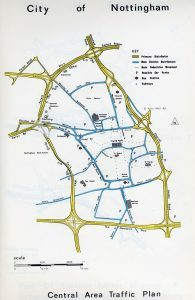 In the early 1970s, a plan to expand the city centre site of Trent Polytechnic (now Nottingham Trent University) would have involved the redevelopment of an area north of Shakespeare Street, which might have impacted on The Arboretum. 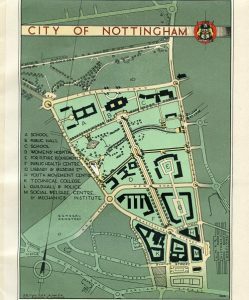 This proposal was eventually abandoned when, in 1975, the polytechnic amalgamated with Nottingham College of Education at Clifton. 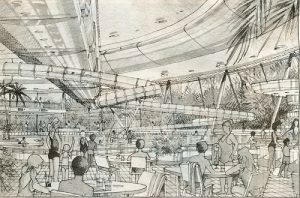 In the 1990s there was a proposal for a leisure centre to be built on The Forest, but after public consultation, the proposal was withdrawn. 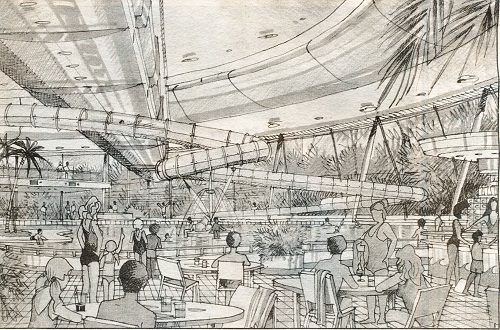 Leisure centre proposals for The Forest, c1999.